This teensy tiny dainty heart necklace is gorgeous! It is a vintage gold metal piece. It has a stamp on the back, on the bail and on the chain, however, I can't read what is says. It may be solid gold or it may be vermeil (gold over sterling silver). The open heart has a central stone which I believe to be a diamond chip. 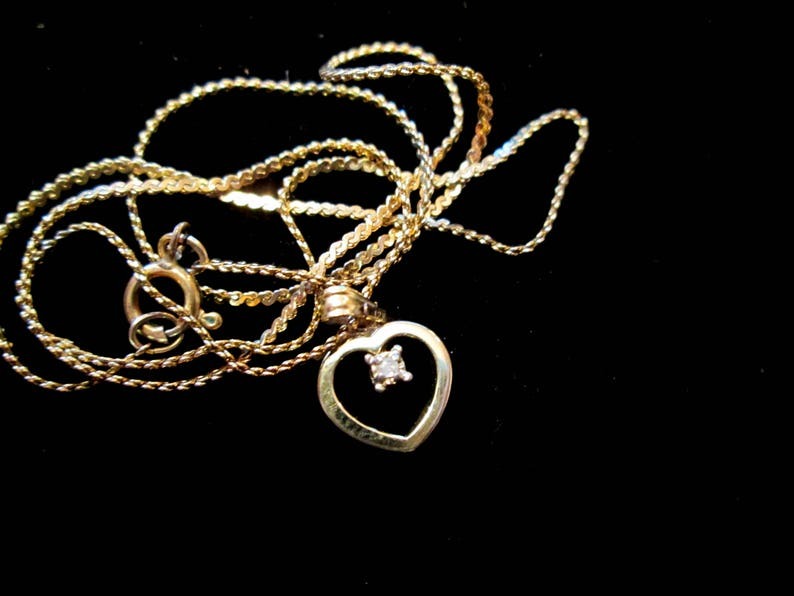 This necklace would be a perfect gift for a girl or worn has a layering necklace. The chain measures approximately 16 inches.